CEO of the Ministry of Internal affairs has confirmed that this year’s intercollege sports competition will be on schedule at the Teufaiva Stadium. The CEO of the Ministry of Internal Affairs has confirmed that this year’s intercollege sports competition will be held on time at Teufaiva. Dr. Fotu Fisi’iahi said, 85-95 percent of the renovation work towards Teufaiva has completed and they are positive it will be fully completed in time for the scheduled sports competition which is set to begin on April 23. 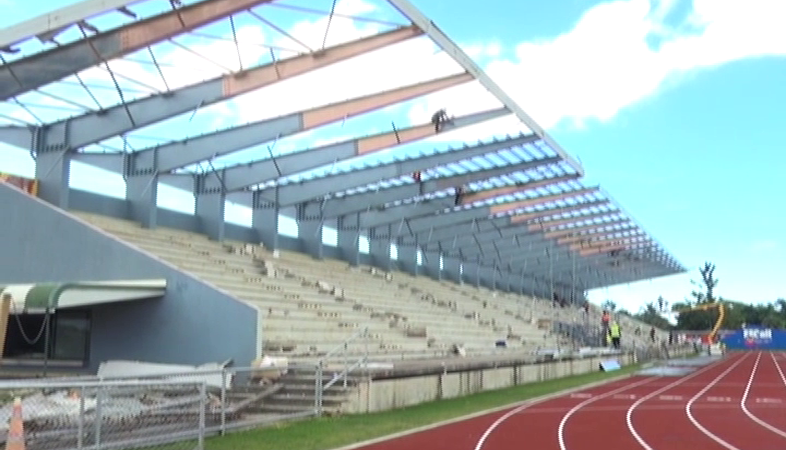 Fisi’iahi said, the work towards the field and tracks amongst others has completed – and they are currently working on the stadium’s roof.